DROUGHT SALE... PLENTY TO CHOOSE FROM!!! DUE TO THE CONTINUING DEVASTATING DROUGHT, FEED AND WATER ALL ABOUT GONE.. WE HAVE TO SELL MOST OF THE HORSES AND CATTLE NOW! 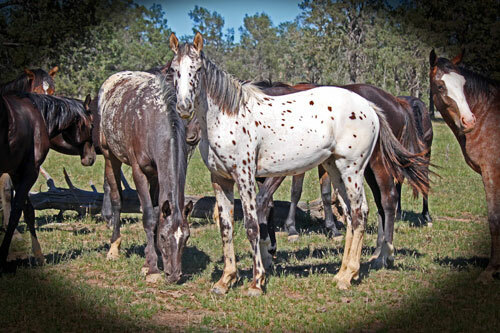 !PLEASE COME AND BUY ONE OR MORE OF OUR SPORTALOOSA OR KNABSTRUPPER BRED HORSES. 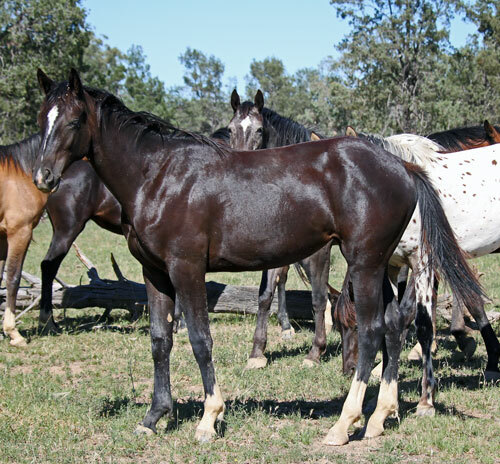 WE HAVE BEEN BREEDING HORSES FOR NEARLY 50 YEARS ,THEY ARE SUCCESSFUL IN THE SHOWRING,DRESSAGE AND JUMPING ARENA. BRED IN COWSENSE TO GIVE YOU THOSE SHARP CUTTING/CAMPDRAFT/ARENA SORTING OR ROPE HORSES. 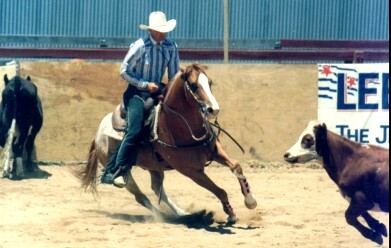 SPEED FOR BARREL RACING PLUS THEY ARE SOUND ,SANE AND SMOOTH TO RIDE! !EXCELLENT THROUGH THE BUSH OR AT PONY CLUB. GREAT FOR ALL THE FAMILY IN THEIR EQUESTRIAN PURSUITS. 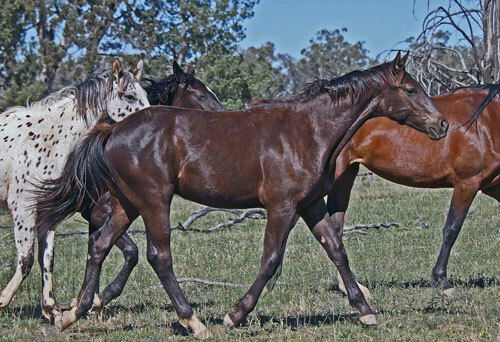 PLUS WE ALWAYS HAVE PROVEN BROODMARES IN FOAL.CHECK OUT OUR LATEST FOALS THEY SELL WEANED AND HANDLED WORMED AND VACCINATED FOR TETNUS.THIS IS VERY HARD.. PLEASE DONT ASK FOR VIDEOS,IMPOSSIBLE WITH SO MANY ON MY OWN.I CAN SEND HEAPS OF PHOTOS OR BE A SMART BUYER AND COME INSPECT IN PERSON ALWAYS LOTS TO CHOOSE FROM SO NEVER A WASTED TRIP!!! 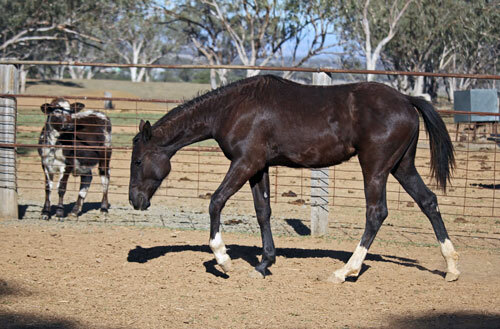 This fancy gelding should suit someone who'd love to train a talented dressage horse!. A near black chap that will grow tall like most of his dad's babies. Should mature over 16hands. Born 3 /12/2017. 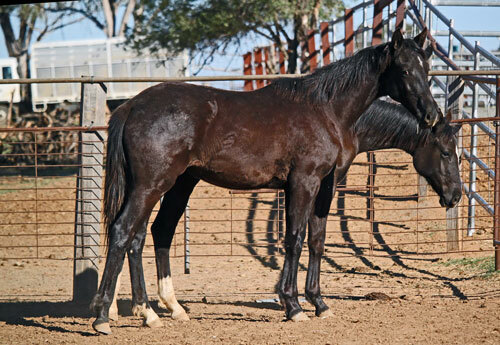 Love this pretty black filly. One of those that are real people horses, just do what you want no questions. Super breeding for a talented allrounder like her relations who continually please and amaze their riders.Her mum is the dam of super smart athletic horses! should grow 15.3. a lot of growing still to do. she'd love to go now to an ambitious home and show them the versatility of the knabstrupper lines! Give away drought price now $3300. Born 27/11/2017. 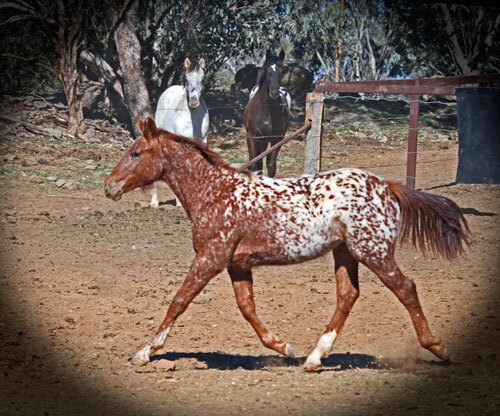 This is a very flashy young filly. 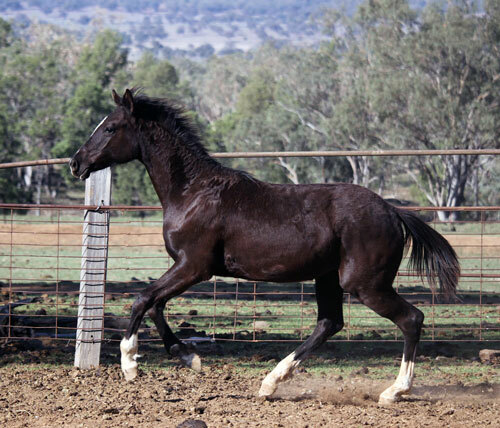 She wont grow tall being out of a super bred working mare. Mature 14.2-15. A brilliant red leopard she will strike an imposing figure under saddle. 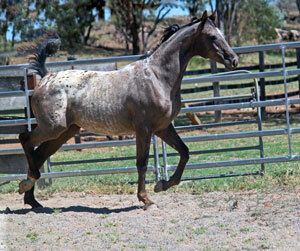 Registered Sportaloosa but also can be with AAA as her sire is now an approved appaloosa outcross sire! plus any of the Olympic disiplines as will jump and has good paces. Needs to go and get loved now. Handled to lead,tie up and go on the truck. Good price for a good filly: $3300. Just the most beautiful 2016 filly. Not only marvellous to look at but a breeze to handle and work with. She is black based but now seems to be changing pattern to leopard! Always one of the first to come visit out in the big paddock. 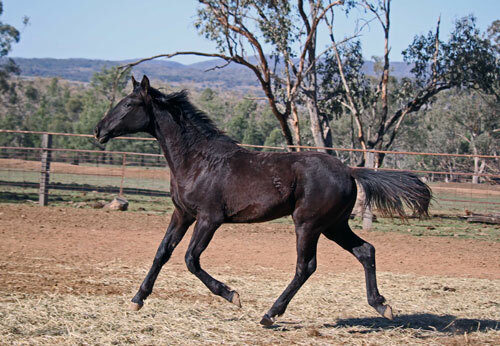 No wonder as she is by our graded imported black leopard Knabstrupper stallion who's progeny are proving him a top sire for temperament, type and movement. Plus her mum is one of my best riding and liberty mares Cayuse Grand Opera. So take the guess work out of buying this filly ticks all the boxes. 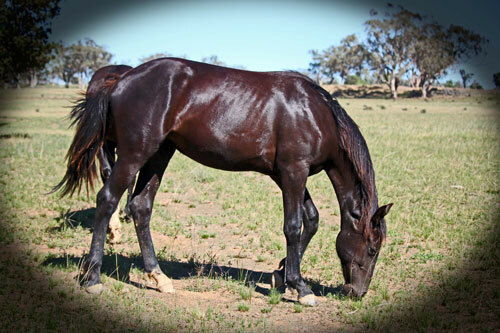 she should mature around 15.3/16.she should be a show horse deluxe , a horse you'll be pleased and proud to own and ride. Later I think you'll be excited in the foals she could produce for you. One of the best looking for a great home please. Ready to start under saddle in 2019 .Last time offered at $6600. 2017 solid Black black filly. 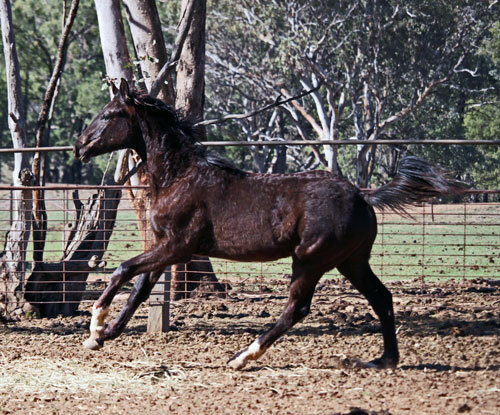 Wonderful Knabstrupper combining both our stallions top bloodlines in one smart filly. 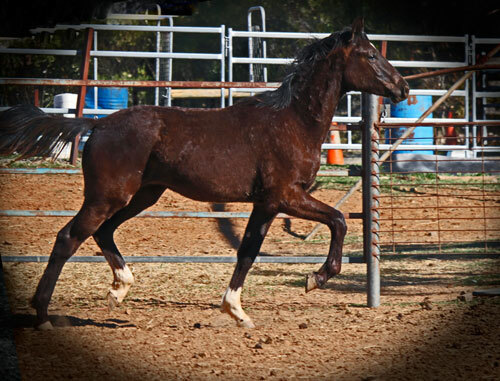 This is one of those pretty young girls you can mold into a top show horse. 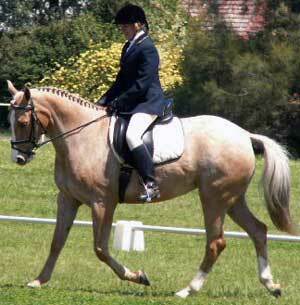 With her elegant form and expressive paces she should make a stunning show hack, dressage or cool headed eventer. Growing well, been fed well during drought and should mature over 16hands. Handled to lead,tie up and been on truck. 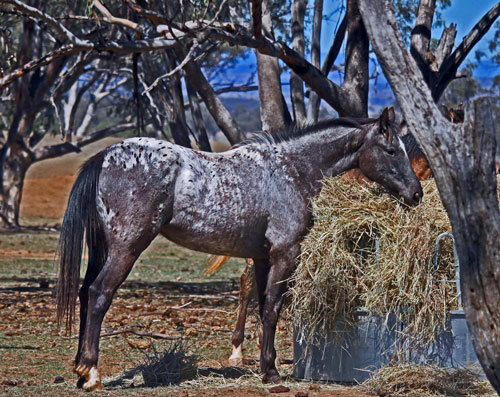 Now enjoying some fun time with her buddies in a big paddock. Great opportunity to buy a good horse.